Gerkin Comfort Series® vinyl products are made from multi-chambered rigid UPVC vinyl extrusion. Their vinyl is formulated to meet the wide temperature range and conditions of North America. The windows are designed to be used on both new construction and replacement projects. 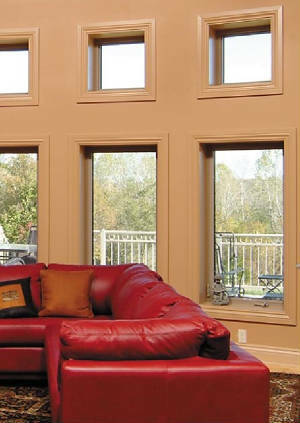 Gerkin vinyl products are made in a wide variety of styles including casements, awnings, double hungs, single hungs, sliders, bays and bows, and patio doors. Gerkin Windows and Doors have been manufacturing high quality, low maintenance windows and doors since 1932. Throughout their history, they have established themselves as an innovator in the design and manufacturing capability of insulated windows and doors. Stringent product testing and innovative design has allowed their products to evolve as the market and customer needs change, bringing you the quality, maintenance-free products you desire.